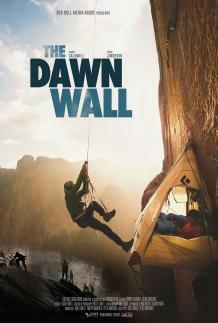 “Fans of epic cinema will want to climb mountains with their bare hands after seeing The Dawn Wall, a documentary about two buddies free-climbing the side of El Capitan in Yosemite National Park. In January 2015, Tommy Caldwell and Kevin Jorgeson decided to climb the 3,000 foot rock face, using only their hands and tethers going from one designated hook to the next, after years of practice. The footage of them climbing—captured over many years—is purely invigorating. As the most genuine of crowd-pleasers, it will have you rooting instantly for the two hardworking, charismatic athletes. You’ll start to root for the filmmaking, too.